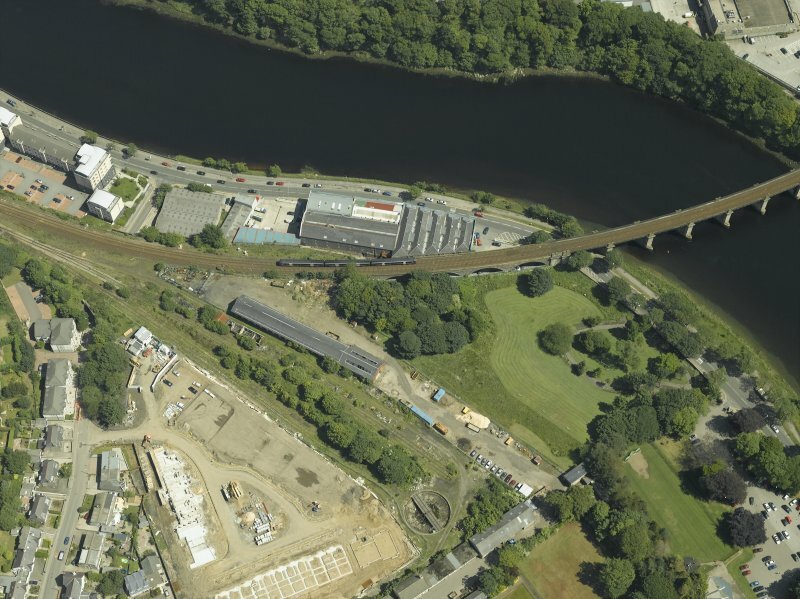 Oblique aerial view centred on the railway engine shed and turntable, taken from the SSE. 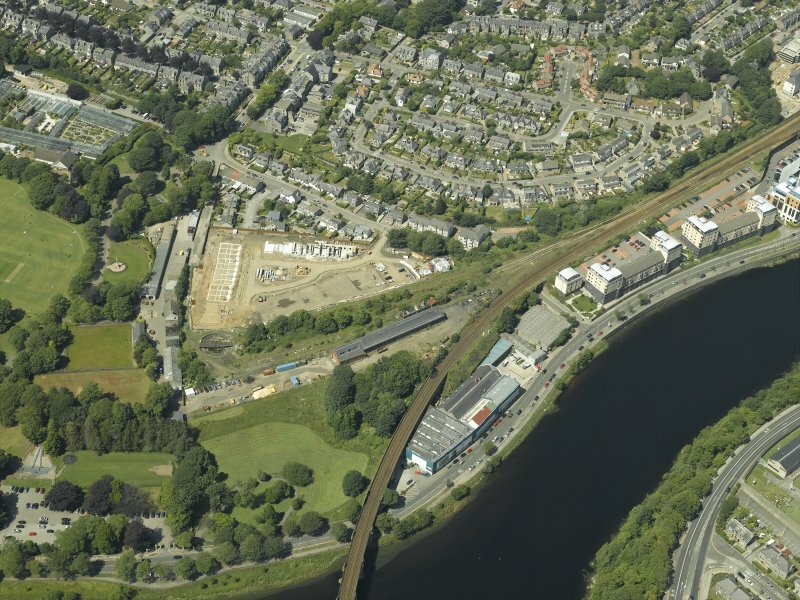 Oblique aerial view centred on the railway engine shed and turntable with the railway viaduct adjacent, taken from the WSW. 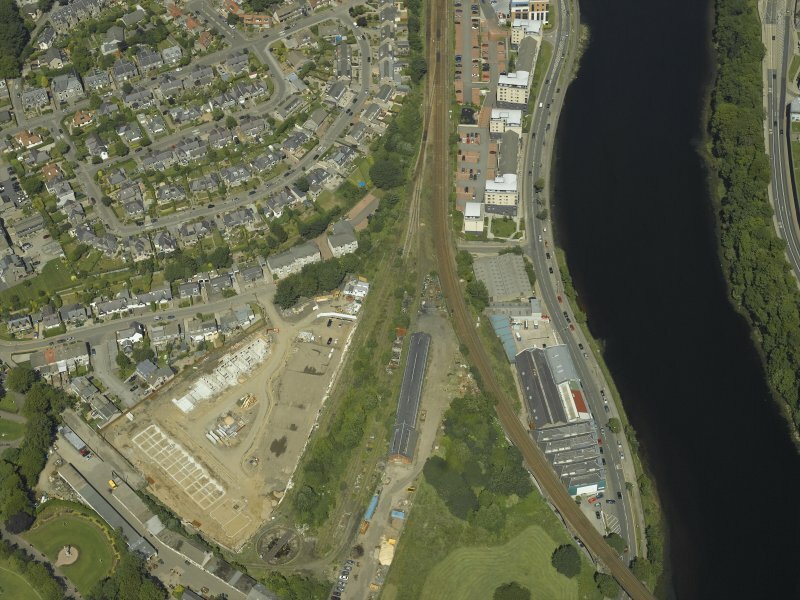 Oblique aerial view centred on the railway engine shed and turntable, taken from the SE.